Howdy. My new year, is off to a good, productive start. I decided to help me get organized, and focus on tasks, I will start writing it down. Wonderful idea, right? Now, how to keep all of these tasks organized and keep me focused on these tasks. umm. a Planner! I know that you have seen them. Everyone is posting photos of their creative and beautiful planners. Look @ Pintrest. 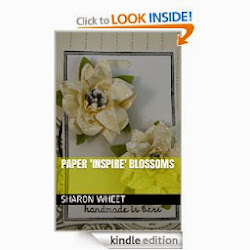 Paper crafting companies, like Prima and Simple Stories are producing collections. 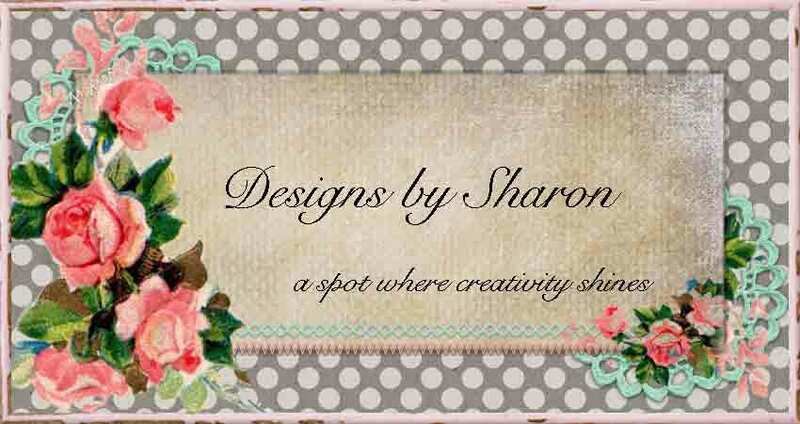 Designers, like Frank Garcia and Heidi Swapp are developing embellishments, and creative ideas. So, I ventured out to a local big box crafting store and picked up some supplies to get me started. Now, if you know me, you shouldn't be too surprised by my color scheme. 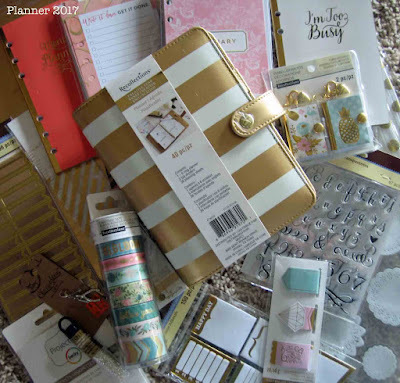 The gold metallic and ivory stripe planner was calling my name! and the pink, blue, and green washi tapes are just perfect. Now, I need to just dive in and get this started! But, what do I want to keep track of? I hope you are taking steps to help you keep your new year's resolutions, too!